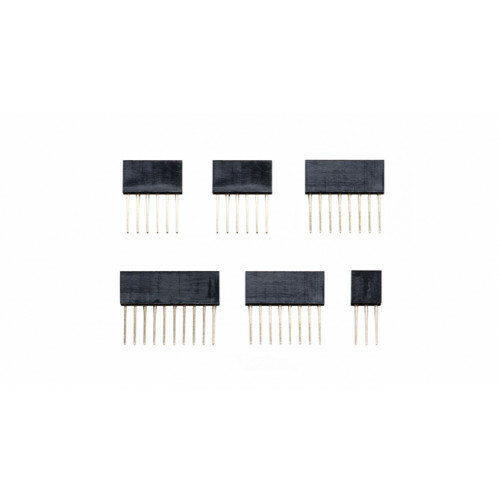 This Stackig Header kit is great for adding various shields on top on top of your Arduino, such as Protoshields, Motor Shields, Proto-Screwshields to get your Arduino doing all the cool things you want it to. The kit includes 1x 10-pin header, 2x 8-pin headers, 2x 6-pin headers, and one 2x3 header. The legs are all 10.5mm long, so after PCB thickness (1.7mm) you have a height of 8.8mm - just enough to clear the Arduino's USB-B connector. 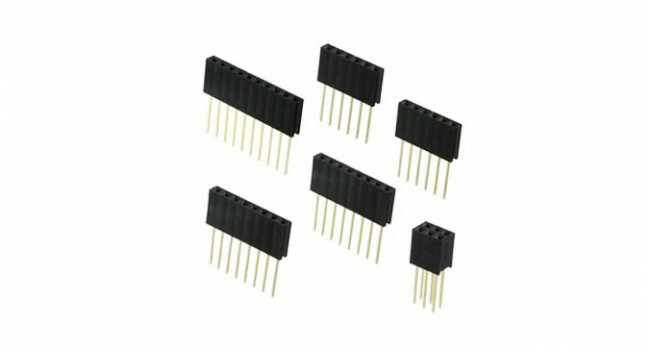 They’re also fully compatible with shields designed for Arduino R3 and the Leonardo. For shields that don’t use the 10-pin header or 2x3 header, use the 6 or 8 pin ones. 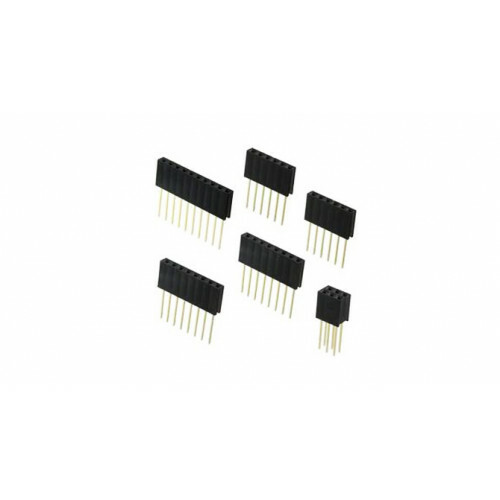 Header kit for the Arduino UNO When prototyping or designing your own shield for the Arduino UNO, you will need these single inline headers. This kit includes 4 headers (2 x 8-pin and 2 x 6-pin), e..
ZT100 Multimeter The ZT100 Multimeter is a battery-powered, auto- ranging digital multimeter with a 4000 counts, LCD display and backlight. It can be used to measure AC/DC voltage, AC/DC current, res..
Breadboard, half size, 400 points Breadboard is a way of constructing electronics without having to use a soldering iron. Components are pushed into the sockets on the breadboard and then extra 'ju..
Dual Stepper Motor Shield Dual stepper motor driver shield can drive 2 stepper motors at the same time by Arduino. It can work with the power supply from 4.75V to 30V. High accuracy controlling can..